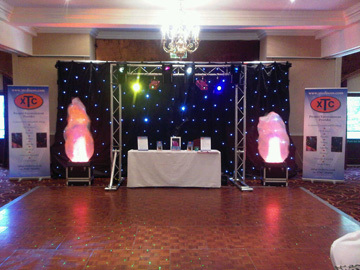 In Nottingham, Mansfield and Sheffield, XTC Discos Ltd has established a considerable client following for providing essential sound and lighting equipment. For all events and all scales of venue, we have the equipment and expertise to make your special occasion one to remember. Our skilled technical professionals supply and install all systems safely at a time to suit you. Please see our disco and entertainment site too. Planning an outdoor event? XTC Discos Ltd has the right equipment for marques, barbecues and larger gatherings.